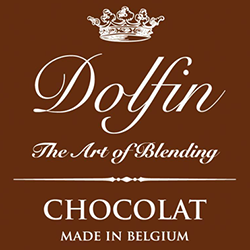 Belgian chocolatier Dolfin has been making fine chocolate since 1989. Their master chocolate makers have a passion for creating artisan recipes with subtle and harmonious flavors. Natural ingredients of the highest quality are carefully selected and directly mixed into smooth, delicious, traditionally made chocolate. At Dolfin, respecting the environment is one of their priorities. Since 2008, the company has been studying the problem of greenhouse gas emissions. An audit of CO2 emissions resulting from Dolfin’s direct business activities was carried out and the chocolate – maker set itself the objective of reducing emissions by 15 %. In order to offset its remaining CO2 emissions, the company is taking part in projects working towards offsetting carbon dioxide emissions.